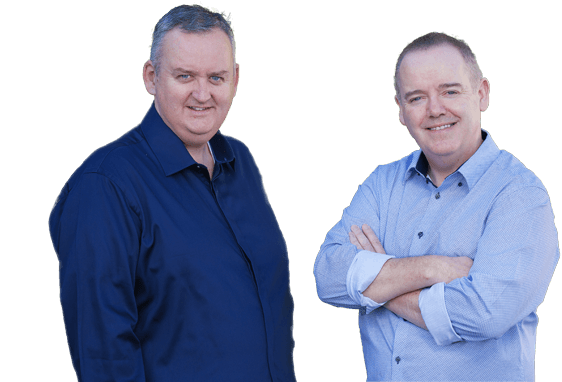 Colin and Colm spearhead development as Managing Director and Chief Technical Officer, providing leadership and mentoring to an excellent, well structured, team of experts. Our team is made up of old friends, cousins, uncles, spouses et al. All professionals mind, with various Microsoft, National and Business training and certification. So we suppose you could call OmniSys a “family business”, but family in a broader sense. A co-founder of OmniSys, Colin has been working in the IT industry for since 1998 with different IT companies from Hays IT and Advanced Management Services (AMS). Prior to this Colin worked as the Welsh District Manager for Encyclopaedia Britannica and graduated from their Manager In Training XIV in Wallington Surrey. Colin still values and credits much of the OmniSys success to people and experience gained there. Colm is a Microsoft Certified Professional, working in the IT industry since 1989. 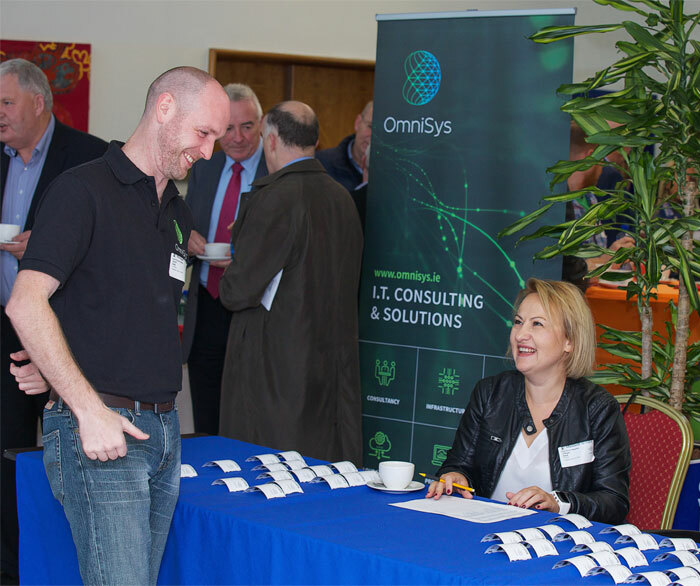 Prior to co-founding OmniSys in 2001 Colm worked for IT companies in Dublin, London and the USA. Former Irish employers include Compaq (now HP) Guinness Ireland Group and Sord Data Systems. Some of our team have been working together professionally since before the turn of the century, and we value and do our best to retain our staff to ensure good working environment for OmniSys, but more importantly, consistency in service relationship with you the customer. Dara is a Computer Science Graduate from Dundalk Institute of Technology. Joining OmniSys in 2005 Dara from 2 previous years’ experience in the IT Industry. He was promoted to OmniSys Service Manager in August 2015 and has most definitely been a major factor in the success and growth during his time with the company. Having previously worked with the OmniSys co-founders in AMS from 1999 to 2001, Ronan joined OmniSys in 2008 when he returned from Canada, where he worked in the IT department of a large petrochemical company. Ronan is the tallest member of the OmniSys team by far. Stephen joined OmniSys in 2012 after completing a 2 year Computer Technician Cert course and a 3 month Internship in Microsoft. Stephen’s experience in technical & sales support has helped OmniSys improve Helpdesk protocols. Stephen sports the finest beard on the OmniSys team. Joined our helpdesk team in July 2015 from a high street retailer. He has been a significant contributor to the positive and helpful atmosphere in our support office. Artur is working hard on his baseball cap collection. Joined OmniSys in late 2015 as part of a work placement module for the college course he was on. The course was a FastTrack Into Technology course in Colaiste Dhulaigh, Coolock. Having received a Level 6 QQI certificate in Computer Network Technology, alongside certificates in Microsoft (70-680) (70-410) he has become a valued member of the team. Liz has been working in OmniSys since 2004 following many 6 years with Country Crest Potatoes and Manchester City Council City Works in their management accounts department. Liz and Colin have been married for more than a quarter of a century. OmniSys are always keen to touch base with similarly minded individuals who agree with our vision and may be able to help us achieve our goals. We urge all such individuals to please fully review our whole website in order to help obtain a sense of who we are as a company, and as a team of people. We want to ensure that these contacts are current and as up to date as possible when we have a role to fill in our team. Please use our contact form below and submit your talent outline and/or your CV. We will be sure to reply to you as soon as we can with feedback or a request for further information. This is how we process all our applicant team members, so please be sure to click on the button below! Now Hiring: 1st Level Support Team Member. Long before there was mainstream discussion about the importance of moving to the Cloud, OmniSys got us up and running in record time with zero stress. This progressive approach they spearheaded has enabled us to securely open up a timely overseas expansion with confidence. OmniSys have been our IT advisors since we started our business in 2011. They guided us in terms of hardware and software solutions for our business that allowed us to work on a range of major construction projects in Ireland, UK, Europe and the Middle East. OmniSys are tuned into our needs and constantly look for ways to bring value to us and our clients. We ask for the impossible and they deliver. I don’t mind admitting that I am a very demanding client, always insisting on being at the cutting edge. OmniSys are my trusted technology advisors, supporting me and my team in bringing optimum solutions to our projects.